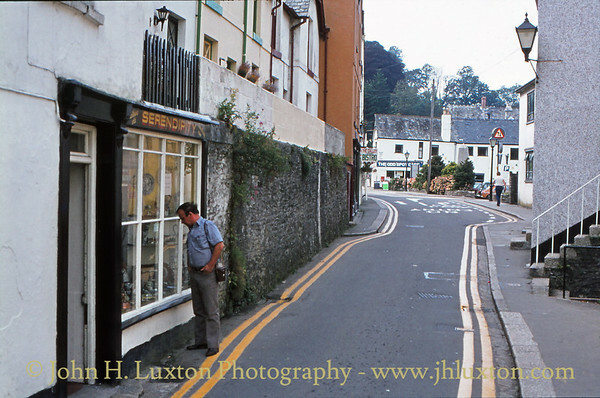 35mm photographs of the Restormel District of Cornwall from the 1970s to 2000. 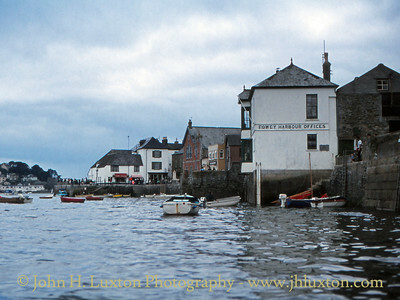 Fowey Harbour Board offices viewed from a hired motor launch on the Fowey River. 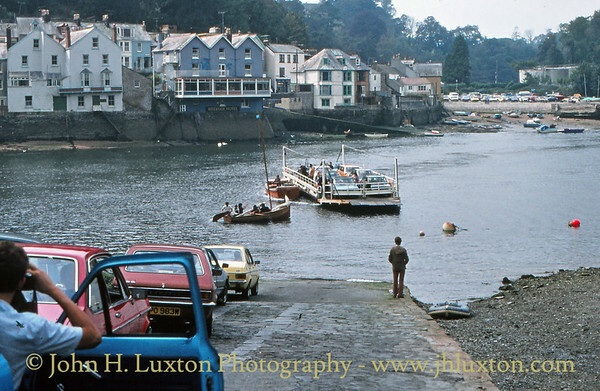 King of Prussia public house and town centre viewed from a hired motor launch on the Fowey River. 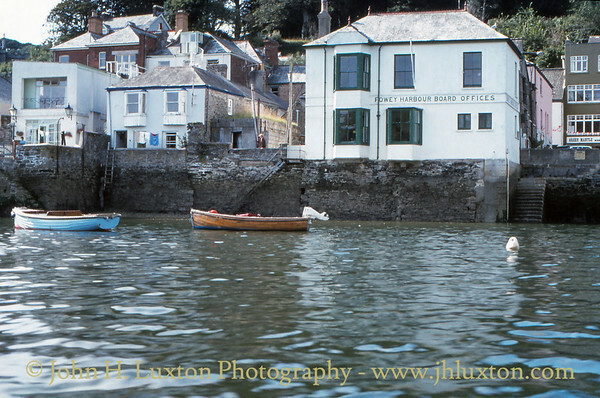 The public house takes its name from the smuggling Carter family of Prussia Cove in Cornwall. 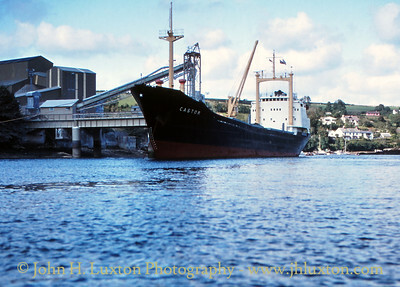 MV CASTOR loading china clay at the Fowey Clay Wharves. 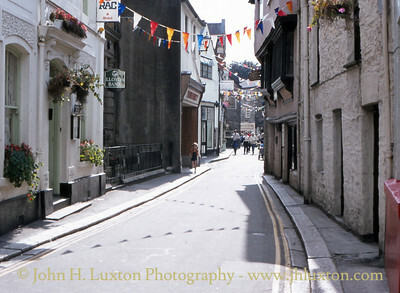 My father John William Luxton looks in the window of an antique shop on Passage Street, Fowey. Over his shoulder he is carrying my Rollieflex camera used to take the photographs in Rollieflex section of this web site. 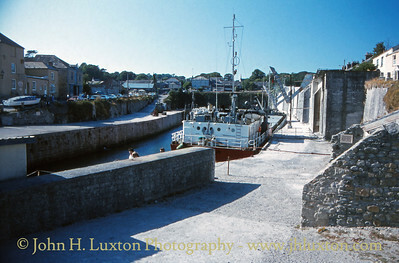 The Bodinnick Car Ferry which links Fowey with Bodinnick. 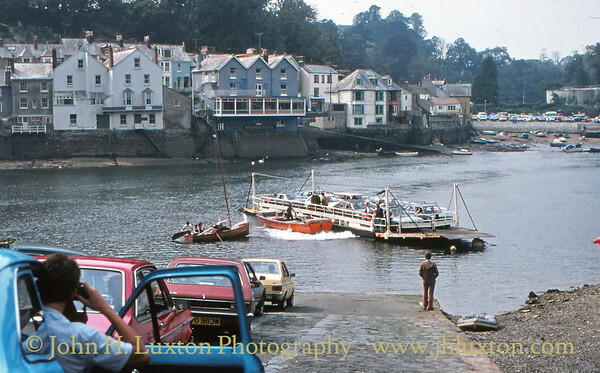 Back in the 1980s open launches propelled car floats across the River Fowey. A near collision between the Bodinnick Ferry and an errant sailing dinghy. A near collision between the Bodinnick Ferry and an errant sailing dinghy. Quick reaction of the ferry boatman prevented a collision. 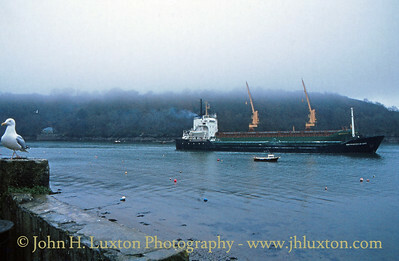 Gull and freighters in Fowey Harbour. 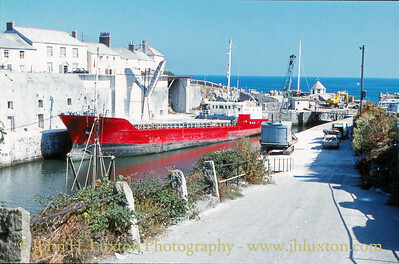 The former china clay port of Charlestown seen in 1983 when it was still a working port handling china clay exports. 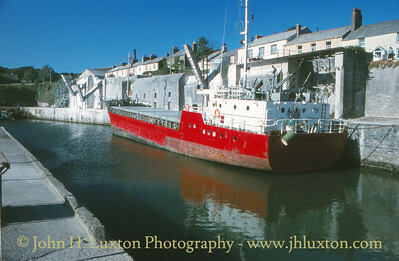 Following closure to commercial traffic in 2000 it has been a base for the operation of the Square Sail charter fleet. 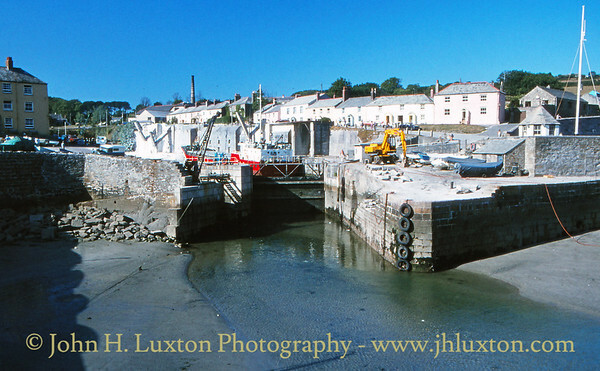 Charlestown has appeared in many TV series and movies including Poldark, The Eagle has Landed, Frenchman's Creek etc. 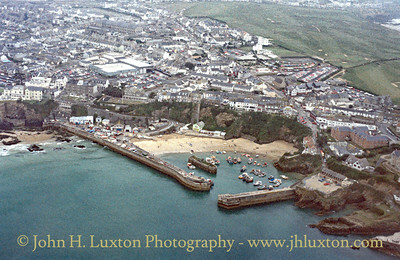 Newquay photographed from British International Helicopter's Sikorski S61NM G-BCEB "Echo Bravo" which was operating sightseeing flights from RAF St. Mawan on the annual Air Day. 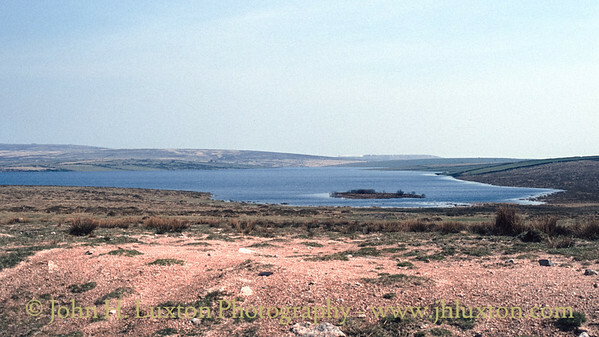 View of Colliford lake photographed shortly after completion of Colliford Dam in 1983. 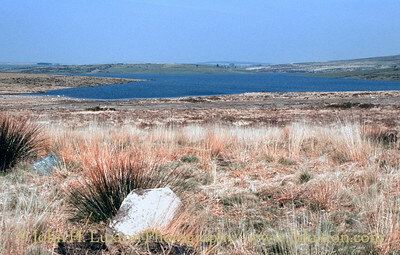 Colliford reservoir on Bodmin Moor is an embankment construction dam which was completed in 1983. 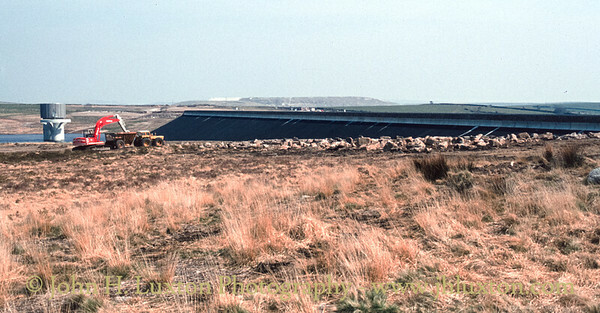 The dam impounds water from the River St Neot to form a reservoir with a net storage of 28,540 megalitres and a surface area of 366 hectares. Colliford supplies parts of North and South East Cornwall directly. 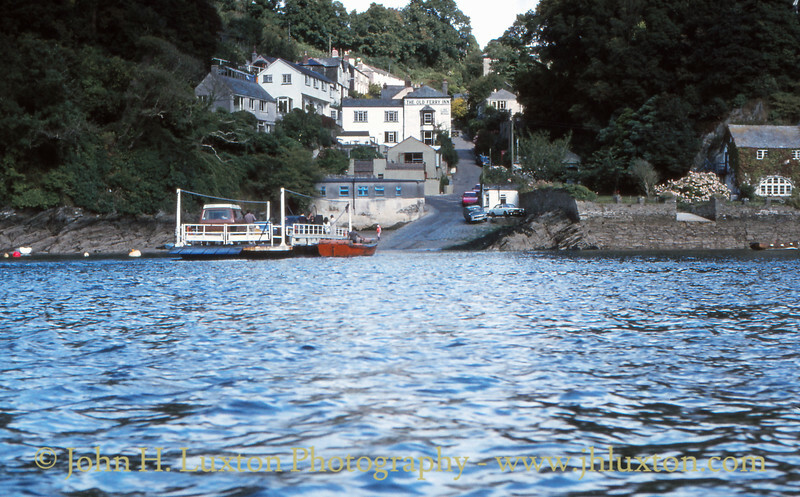 Colliford also makes releases to the River Fowey system which are abstracted and treated at Restormel and distributed throughout much of the rest of Cornwall. Roche Rock (Cornish: An Garrek) stands out as a rocky outcrop some 20 metres (66 ft) high on the northern flank of the St Austell granite with an approximate area of 600 metres (2,000 ft) x 300 metres (980 ft). The rock is of interest to geologists as it is a fine example of quartz shorl; a fully tourmalinised granite, with black tourmaline crystals. The Rock itself lies approximately 500 metres (1,600 ft) north of the northern margin of the St Austell granite, which is the smallest of the five main apophyses of the Hercynian batholith of Southwest England. 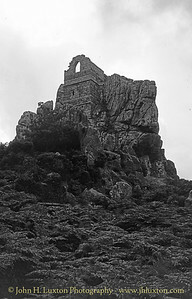 On top of Roche Rock is a ruined chapel (dedicated to St Michael). 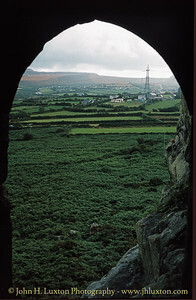 Roche Rock has many folk-lore tales associated with it, the two most famous being the legend of Jan Tregeagle, a seventeenth century magistrate, who after death found refuge in the chapel and the other being part of the Tristan and Iseult tale. 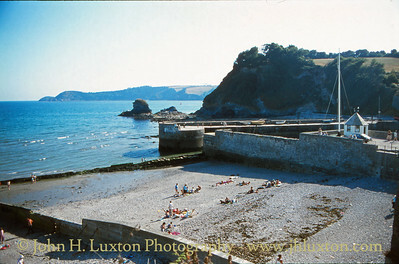 The chapel was one of a number of locations in Cornwall used for filming the motion picture Omen III which starred Sam Neil. The view from the doorway of St Michael's Chapel, Roche Rock, Cornwall. 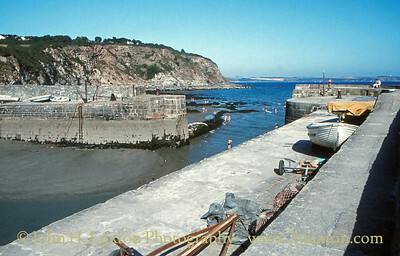 The dock gate and swinging basin at Charlestown. 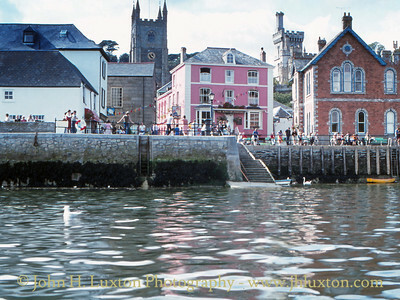 Chrlestown will be well know to many as the filming location of many TV series and movies such as "Poldark" both the 1970s and current series, "The Eagle Has Landed", "Frenchman's Creek", "Diana", "Onedin Line", "A Respectable Trade" and many other productions.